As co-creator of the Dramatica theory, I’d like to clarify a few things about Dramatica’s “new language” of story. First of all, Dramatica asks you questions like: “By the end of your story, has your Main Character CHANGED or REMAINED STEADFAST?” This is something an author ought to know. Some stories are about characters who become essentially different people by the time their journey is over, like Scrooge, or Luke Skywalker, who has learned to trust in the force and in himself. Other stories explore characters who stick with their guns against all odds, like Dr. Richard Kimble in “The Fugitive”, Anthony Hopkins in “Remains of the Day”, or James Bond (in almost all of the films). Determining which kind of character you want to end up with when all is said and done is essential to fashioning a story that brings them to that point. The “old language” of story often has it that a character must CHANGE in order to grow. Not true. As a well-known example, look at Job in the Bible story. Job NEVER changes his mind about keeping his faith in (and refusing to renounce) God. He is absolutely STEADFAST to the end. But does he grow? Of course! He grows in his RESOLVE. That is the nature of obstacles that a Main Character faces in a story. They cannot tell if the obstacles are indications they are on the wrong path, or just hurdles that they must overcome on the best path available. By separating Change/Steadfast from the concept of “growth”, Dramatica helps an author clarify what they want to achieve with their audience. Dramatica then deals with growth. 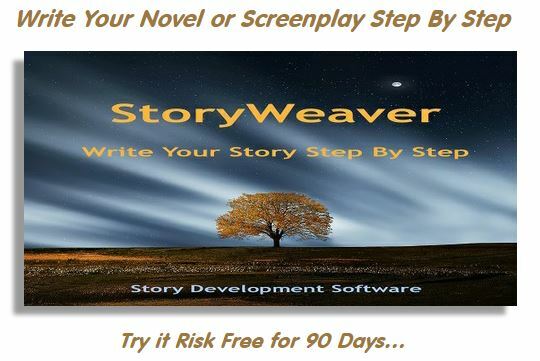 It asks, “Does your Main Character need to grow by STARTING something, or STOPPING something. Start means adding a new trait they lack, Stop means dropping an old trait they must outgrow. Another way of looking at this question is to ask, “Does my Main Character need to grow INTO something or OUT of something? Do they have a chip on their shoulder, or a hole in their heart? Are their problems caused by what they DO or what they FAIL to do?” You get the idea. And if you answer this question, both you AND the Dramatica software will know more about your story. But there are other kinds of questions as well. Dramatica will ask you, “What is the principal Concern of your story?” Unlike other systems, this is not a “fill in the blank” question that leaves you without guidance. Dramatica provides a palette of alternatives to choose from. You might select “Obtaining” as the principal Concern, or “Becoming”. Clearly a story about “Obtaining” something is a whole different animal than one about “Becoming” something. Of course, these aren’t the words you would use to pitch your idea to a producer, and in fact, these words might not directly show up in your story at all. But their meaning will. For example, you are doing a story about the first woman president. If your Concern was “Obtaining”, it might be about trying to win the presidency. If your Concern was “Becoming”, it might be about a woman who has already won the office, trying to grow to become “presidential” in her handling of the office. Not the same thing at all. And by making these sometimes difficult choices, you come to know your story so much the better. Because these choices all revolve around a central “Argument” in a sense (which simply means they have to be consistent with one another to support some overall meaning), Dramatica can actually “predict” what some of the remaining choices “ought” to be, when the author has already made a number of choices themselves. This really helps keep you from missing important dramatic statements that are essential to the purpose of your story. But what about taking all this information and creating a story-line out of it? Well, the Dramatica theory recognizes that slap in the face FOLLOWED by a scream does not have the same dramatic meaning as a scream FOLLOWED by a slap in the face. The order in which events occur, changes their context, and therefore their meaning. One of Dramatica’s greatest strengths is that it can take an author’s answers to questions like those above, and then put dramatic elements in a throughline order that would support the author’s choices. What happens in Act Two? Dramatica can tell you. Not by writing your story for you, but buy lining out a progress in terms like those above. For example, a Main Character’s growth throughline might read, “In Act One, your Main Character will be primarily concerned with ‘learning’, in Act Two with ‘understanding’, in Act Three with ‘obtaining’”, and so on. 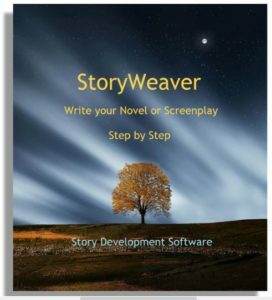 In other words, based on your choices, Dramatica will suggest the order of a story’s progression. I hope this short article helps explain why Dramatica uses a “new language” of story, and why the “old language” is not always up to the task.